168 Hours A Week: How Do You Want To Spend Them? I just finished reading through Laura Vanderkam’s short before-breakfast guide, and it reaffirmed a gut sense I’ve often felt: I have more willpower in the morning, more creativity, and the simple fact of fewer “demands” or requests coming in opens up my time in a much more guilt-free way than later in the day. How DO I spend those 62 free hours? And how do I want to be? Earlier this week I had the frustrating feeling of getting buried by my email inbox. The more I answered, the more that came in, the MORE overwhelmed I felt, not less. I intended on a short one-hour email burst but it spiraled out into several hours, and somehow I still felt behind on my overall task list . . . and completely exhausted. I have systems, I have canned responses, I have boundaries — and yet still, something left me feeling like there was room for improvement in how I tackle this aspect of my work. If I can start my day with that set of activities, it takes tremendous pressure off of what gets done later in the day when I have less energy after my block of calls and meetings ends. 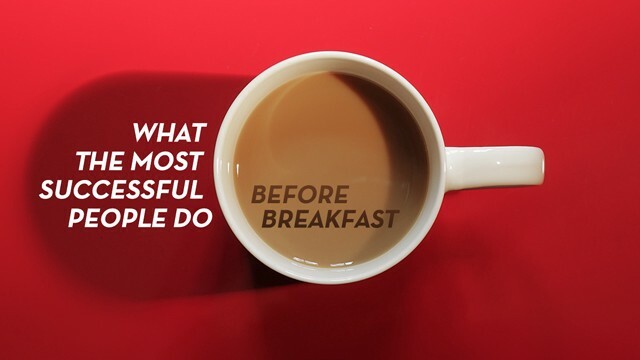 What Is Your Morning Trifecta? What are you favorite morning rituals? What do you want to carve out time to do more of? Less?